One of the nice things living in a town that is close to the mountains is the amount of wildlife roaming around. While we don’t get too many fear-inducing beasts in Fort Collins, Colorado—well, aside from the occasional discombobulated black bear roaming around to (inadvertently) scare the bejesus out of a poor, unsuspecting human—there are plenty of smaller species not related to homo sapiens at all. For example, on the south side of town, my friend Tori witnesses prairie dogs peeping out of their burrows on a near hourly basis, in addition to wily coyotes and conspiring foxes, right behind her back yard. In my neighborhood I have never encountered such fauna, but there have been prancing deer, regal horses ridden by weekend equestrians, and of course the neighbors’ curious dogs and wandering housecats wearing plastic cones. 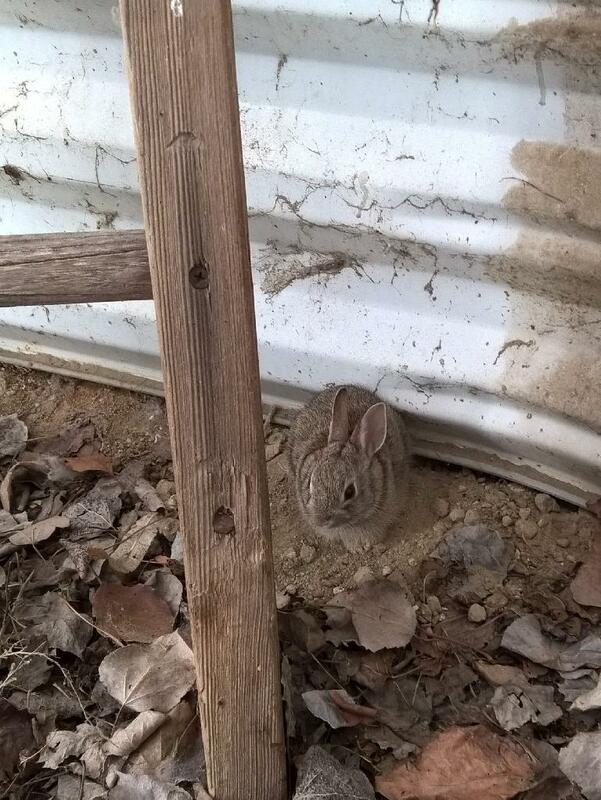 But one type of creature I have not noticed a lot of are rabbits. Now, on Tori’s side of town there are so many of them that her neighbors alternate between screaming at or shooting them. (Poor bunnies.) But I rarely saw any in my ‘hood—until now. Some of his friends and relatives were hopping around in the back yard too. 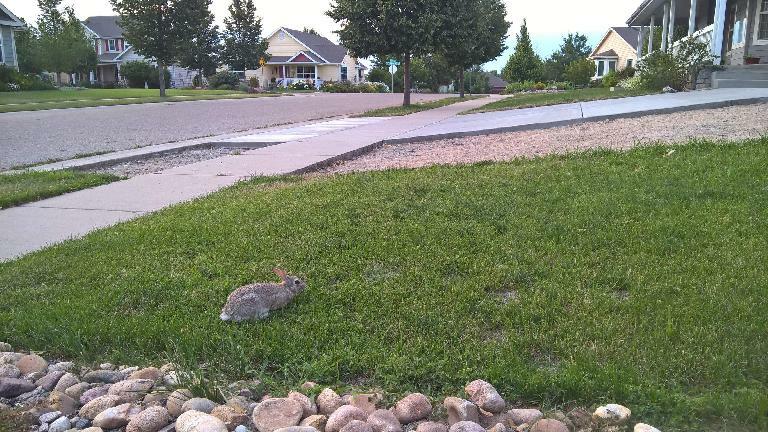 One day, one of these bunnies fell through a metal grate covering the top of a basement window well. And he was trapped! He did not have the navigational skills of a rally driver nor the hopping talent of an Olympic high jumper. My friend Alberto—on his last day over at my house before leaving to travel the world—was actually the person who discovered it. He was neither concerned it could be carrying, say, rabies or the plague. As he is something of a biologist, I trusted his judgment. Plus, he volunteered to rescue it. As you can see in this video, he used a lacrosse stick to corner and then grab it. Success! Then he released the rabbit into the back yard as shown in this video. These little bunny rabbits are kind of cute, yes? I am sure there will be more of them.